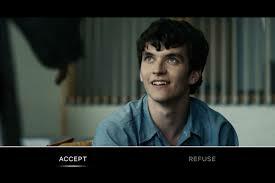 This ain’t about that Psygnosis game sadly but Black Mirror: Bandersnatch is also about a videogame with the same name and the development process of it. The movie lets you control the character in the movie by taking various choices and actions at set times that will affect the storyline. Yup, just like those old simple FMV games from the early CDTV/CD-Rom times. Yes, Telltale games had this type of games too (interactive story… with limited gameplay) although all you do in Bandersnatch is take some simple choices only, everything is connected in one way or another so you will get different outcomes and endings. How can this work as entertainment you may ask, well, I have always liked FMV games for what they are and there have been a few new ones lately but titles like Late Shift, The Shapeshifting Detective and The Bunker from Wales Interactive certainly made things even more interesting the last few years and all in all they somehow managed to make FMV a thing again. How Wales Interactive didn’t snap up this for a game and movie tie-in deal is beyond my understanding, I mean, they have done all the background work already for their other FMV games so. The movie touches a few of the topics of the gaming industry back in the day and while it is fiction there are still easy to see some connections to how it was and maybe even some of you might even know who some of the persons or situations that are portrayed in the movie. There are also a lot of easter eggs to be found throughout the movie here and for fans of the ’80s this will certainly look and feel familiar to them.